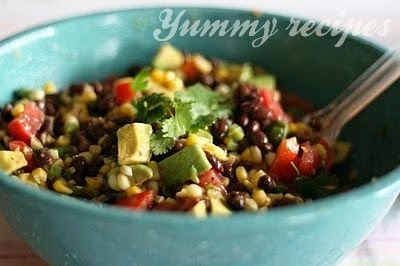 Combine beans, corn, red pepper, onion, scallion and cilantro in a bowl; season with salt and pepper. 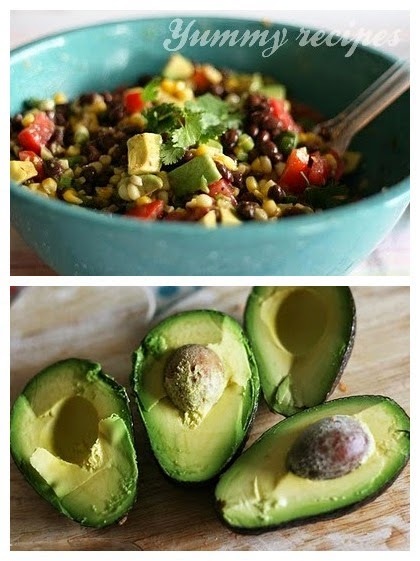 Mix in lime juice and olive oil. Cover with cling film and marinate in fridge for at least 30 minutes. Add avocado just before serving.